It’s easy to fall into the credit card trap. You have several cards and they all have different payment due dates, interest rates, and open balances. It's frustrating and even a bit demoralizing to have to keep up with the payments, which feel like they are increasing all the time. What if there was a better solution? By consolidating your debt and receiving a lower interest rate, you make it much simpler to pay down the balance. Below, we’ll look at and analyze three common strategies for debt consolidation that may work best for your scenario. There are two goals for credit card consolidation. By consolidating, you reduce the number of creditors, so instead of paying many different bills, you will only have to make one monthly payment. You’ll also reduce your interest rate, so instead of paying 20% (or more), you can have an option that charges a lower rate without exorbitant fees. The idea is to turn your unmanageable debt into a single streamlined payment that you can make each month and pay enough to make noticeable headway in reducing your overall balance. This helps you get out of debt more quickly while improving your credit along the way. Before jumping into debt consolidation, it’s a good idea to examine your entire financial situation and make sure this is the best option for you. Start off by creating a budget with your income, your household expenses, car payment, utilities, childcare, and credit card bills. Add up your total outstanding debt and current monthly payments. After you pay all the bills, how much is left over? Do you have enough for groceries, gas, entertainment, clothing, and other necessities without using your credit cards? If not, you may need to get your finances under control before jumping into consolidation. Are you over-spending? Things to consider here would be impulse purchases, eating at restaurants frequently, or buying items you don’t need. Can you cut back on anything? Could you bring in additional income? If money is tight, perhaps you could take on additional shifts at work, sell items you don’t need, or do other odd jobs to bring in extra cash. Do you have any bills you could reduce or eliminate? Some things you might consider cutting are cable TV (or streaming services), taking public transportation instead of making payments on your vehicle, replacing your smartphone with a pay-as-you-go cell, or even getting a roommate. Can you make consolidation payments reliably? If you don’t have a stable income or you have poor spending habits, a debt consolidation plan may not be enough to get you out of trouble. Once you've trimmed down your expenses and identified all possible sources of income, figure out how much money you can set aside monthly for paying off your credit card debt. Will I Qualify For Debt Consolidation? There are a few factors you need to consider. To get a debt consolidation loan or balance transfer card, you need to be at least 18 years old and a legal resident of the U.S. Most lenders also require that you have a valid bank account and are not currently dealing with a foreclosure or bankruptcy. You must have good or excellent credit to qualify for low-interest credit cards. If your credit isn’t high enough, you may still be able to get a loan based on your income and repayment history, but your interest rates might be steep. If you don’t know your credit score, you can request a free credit report once a year by going to www.annualcreditreport.com. In case you don’t qualify for standard options, you might consider a secured loan or a cosigner like a trusted friend or family member. Now that you’ve decided to go forward with debt consolidation, here are three options you might consider. One of the easiest ways to consolidate your credit card debt is by using another credit card. Many credit card companies offer promotional deals with a short-term 0% APR. You can transfer the balance from your higher interest cards and save a considerable amount on interest over the length of the promotion. The trick is that you need a solid credit history to qualify for one of these cards. If you go this route, it works best to find a card with a high enough credit limit to cover all of your existing balances. However, it can also work if you can find a card with a limit that can cover one or two of your high-interest rate credit cards. Look for a card that has low fees for balance transfers as well. It’s common to pay a fee of around 3% for a balance transfer -- and maybe an annual card fee -- but be sure to shop around for the best deal. If it ends up costing you as much to transfer your balances as you’ll save in interest, then this plan won’t work for you. Keep in mind that these low interest credit cards offer the low rate for a fixed period, usually 12 to 18 months, before the interest rate is raised. This means you will need to pay off a good chunk of your balance in that time frame to make these cards worthwhile. If you consolidate your debt using a credit card, you will need to calculate how much you think you can pay off during that time. If you still carry a balance after the promotional period, you need to figure out how much it will cost at the standard interest rate to pay off the rest of the card. In some cases (even with the promotional rate), you could end up paying more in the long run. It goes without saying that while you pay off your new low-interest card, you should not be using it (or any of your old credit cards) for any purchases. Depending on your debt and credit history, you may not qualify for a balance transfer credit card. Another option is to get a personal loan from a bank, credit union, or online lender. Loans are more structured than credit cards. Rather than starting out with a low-interest rate and then raising it over time, most loans have a single interest rate during the loan term. Loans usually come with fixed payment periods and set payments, so you know exactly how much you owe each month and when you’ll be done with the payments. Debt consolidation loans can be tailored to your specific debt, so you only want to borrow what you need. If your credit is good, you might qualify for a personal loan sufficient to pay off all of your cards, which can make it much more effective than balance-transfer credit cards. 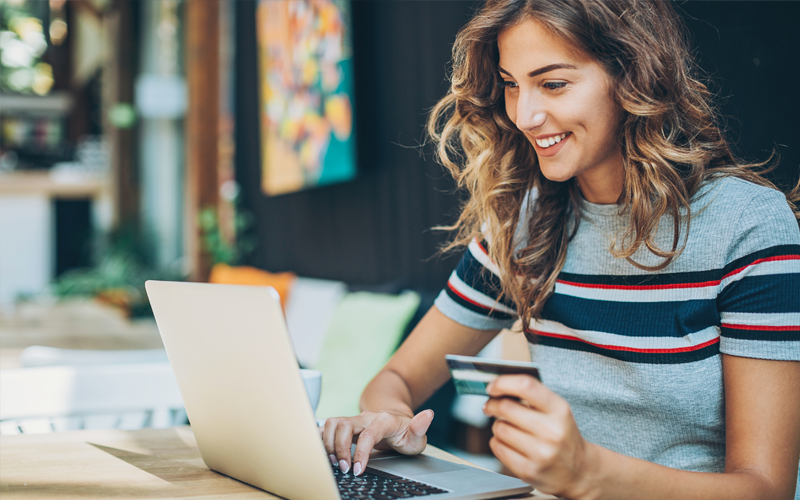 Because they don’t have an open-ended line of credit, a personal loan is great for consumers who might otherwise be tempted to use their credit card for extra purchases. An additional benefit is that these can have a positive impact on your credit in a short amount of time. By reducing the utilization of your credit cards with this loan, you will improve your debt to credit ratio. If you have good or excellent credit, you can qualify for a debt consolidation personal loan with competitive and low interest rates. However, you can still qualify for a personal loan even with bad credit. If you have too much debt or a credit score that doesn’t qualify for a balance transfer card or personal loan, there are a couple of other options (short of declaring bankruptcy) to get out of debt. You might look into a debt relief company. How these companies work will vary depending on the company and the amount of debt you have. Debt relief companies work with your creditors to negotiate lower interest rates and they may also help you come up with repayment strategies or qualify for a debt consolidation loan. For consumers who are already delinquent on bills, debt relief companies can help negotiate a settlement with credit card companies. Another option is to work with a nonprofit consumer credit counseling agency. The National Foundation for Credit Counseling (NFCC) offers assistance on finding accredited counselors. You can also research companies through your state’s Consumer Protection Agency. While debt settlement can be an option, it can take several years to resolve your debt and may leave negative marks on your credit. It’s also important to ensure the company’s fees don’t end up being more expensive than just paying off your cards yourself. At the end of the day, the option that is best for you depends on how much debt you have, your credit rating, and your spending habits. If you can qualify for a personal loan or balance transfer card, and you can get a high enough line of credit to make one of these options feasible, these are likely the fastest and most convenient options. As long as you pay the balances on time, both of these options can improve your credit. Between those two options, a personal loan is the better choice for higher balances. Most balance transfer cards have a limit of $15,000 and once the introductory period ends, the new interest rate on your remaining balance can offset any short-term gains. Personal loan limits are often much higher and you could get a loan as high as $50,000 with good credit. If you are deep in debt, struggle with budgeting, or have inconsistent income, then an unsecured personal loan and low-interest credit card will likely be out of your reach. Your best solution in these cases will be credit counseling, a professional debt settlement service, or a secured/cosigned loan. If you’re looking for strategies to get out of debt, you need to be very careful. Borrowing additional funds to pay off an existing debt can be risky, especially if you haven’t changed your spending habits. Many people start this process with the expectation that they will be out of debt in a few months when in reality they just turn around and run up balances on the cards they’ve just paid off. Furthermore, there are many companies out there who prey on people drowning in debt. Do your research and don’t get caught in a scam. If a company's offer sounds too good to be true, it probably is. And of course, to make any of these strategies successful, you need to follow a budget. To get out of debt in a timely manner, you need to channel all extra income into your debt.